Discover the top 5 scariest places in the Philippines and learn the truth about them. If you’re looking for spine-chilling places to explore while staying in the Philippines for vacation, then let me walk you through the top 5 scariest places in the Pearl of the Orient Seas. Haunted places like streets, buildings, and houses usually have a rich history of bloody past. Most of the paranormal activities that are happening in these places came from morbid and tragic events in the old times. Some scary stories take root in legends and mythical characters that people talked about for many years. In the Philippines, where history and culture mostly developed because of its rich antiquities during the war era and invasion period, many haunted places now were remnants of the past. While other spooky places were brought by tragic events from unfortunate accidents. In this article, let me take you to the scariest places in the Philippines that will surely raise your curiosity if you’re into ghostly and eerie adventures. Check them out below. First on our list of top 5 scariest places in the Philippines is one of the most famous ghost area in Manila, the Balete Drive. Located in New Manila, Balete drive is said to be haunted by a white lady (a popular ghost in the Philippines, which means a female soul or spirit dressed in white. According to commuters and drivers specifically taxi drivers, at around 12 midnight and 3 am, a bloody white lady shows up to either ask for help or look for her murderer. Back in the past, it was said that a female student was raped and murdered in Balete Drive. During those days, Balete trees surrounded Balete Drive. 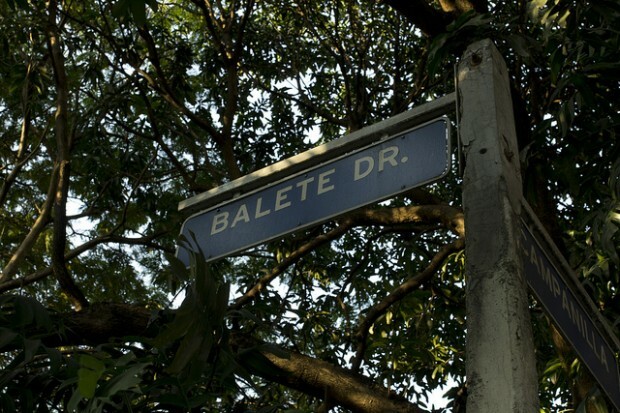 This is the main reason the street was called Balete Drive. The alleged murderer was said to be a taxi driver and according to the reports, that woman was buried under a Balete tree. In addition, according to folklore, Balete is housed with mysterious creatures and this contributes to the already haunted street of Balete Drive. Hospitals are the common lounge of spirits and abandoned hospitals are even worse. In Angeles City, Pampanga, an abandoned hospital was featured in the horror documentary; “I wouldn’t Go in There” of National Geographic back in 2013 and this was the Clark Airbase Hospital. In the past, it was a refuge site to soldiers during World War II and the Vietnam War. According to the Ghost Hunters International group, Clark Airbase Hospital was one of the most haunted places in the world because the spirits who are residing here are reported as violent and rude to visitors. Based on some personal accounts of explorers and paranormal investigators, spirits and the unknown threw rocks and other objects to them when they visited the place. Paranormal activities like screams, howls, and apparitions are also common in this hospital. Third on our list of top 5 scariest places in the Philippines is the Pindangan ruins, in San Juan City, La Union. This place is the remnant of an old church that was built in 1786. In the past, it was a place for unity between two villages (San Vicente de Balanac Village and Guillermo de Dalagdang Village) under the protection of Father Jose Torres. Now, the place is full of spirits and the most popular spirit was said to be the headless stabbed priest who was allegedly seen searching and calling for his lost head. Moreover, this place is also haunted by spirits that are called “Pasatsat” which comes from the word “satsat” that means, “to stab.” They were the people who died in World War II when coffin and graveyards were too expensive so people wrapped their dead in reed mats. According to locals, these spirits will haunt you and in order to stop them, you have to stab open their makeshift caskets and cut it in half. One of the terrifying fire accidents in the Philippines took place in Ozone Disco in Quezon City. On March 18, 1996, a massive fire engulfed the small nightclub. The disco was approved for occupancy of only 35 people, but during that time, around 350 patrons and 40 club employees were said to be enjoying the night in the Ozone disco. Based on the accounts of the surviving victims, light sparked flying inside the disc’s jockey booth and shortly after that smoke followed and people thought it was just a party plan. To their horror, the electrical system shut down and flame erupted. According to the court, 162 people died in the Ozone disco and most victims were graduating students from Universities. These days the disco is already an abandoned place but many ghostly sightings were reported within the area especially at night. Some locals said that they could hear music and see disco lights. Others claimed seeing silhouettes of dancing people and hearing screams and moaning. Moreover, families of the victims were occasionally seen in the place with spirit mediums to contact their dead loved ones. In one occasion, a spirit of a boy named “Ed” was contacted and according to the reports, he wanted to say goodbye to his family. In the popular city of Pines, Baguio, there is this haunted place called the Diplomat Hotel or also known as Dominican Hill Retreat House. This structure was built in 1911 for the American Friars of the Dominican Order. It was originally constructed as a retreat house for relaxation, a monastery, and a school all-in-one. In the height of the World War II, the Japanese attacked the hotel and many people were ruthlessly killed. This includes ordinary children, priests, nuns, families and even babies. The Diplomat Hotels, Inc., revived the place in 1973 and according to the staff of the hotel; the place is indeed haunted and scary. Years later, the owner died and the hotel stopped operating. Many ghost sightings have been reported in the area. Some claimed that headless priests and nuns, who were victims of the World War II, haunt the Diplomat Hotel. Others heard moaning and crying of babies at night. Moreover, paranormal activities like the banging of doors, screaming people in pain and ghostly apparitions were said to occur in this haunted hotel. If you’re brave enough to visit these places, then I suggest you don’t go alone. You may encounter bad spirits or ghosts that can harm you. Alternatively, If you’re scared and couldn’t imagine yourself traveling these scariest places, then I suggest you focus on exploring the wonders of the Philippines.